To see a list of available positions in our office, please visit the Elkhart County Employment Opportunities site. The Office of the Prosecuting Attorney for Elkhart County has transitioned from a part-time staff to a full-time corps of prosecutors and support staff armed with the necessary technology and resources to fight crime in an evermore complicated environment. 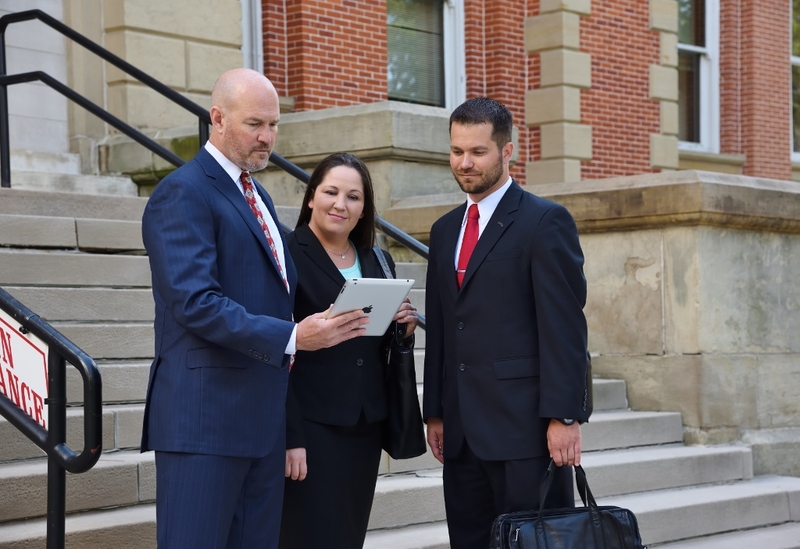 The office strives to be the most respected, the most prepared, the most skilled, the most tenacious and the most successful team of trial prosecutors in the State of Indiana. Aggressive in the pursuit of crime and criminals, the office is vigilant in seeking to strengthen our resolve against drugs, gangs, juvenile offenders and other crimes that continue to threaten our community. Elkhart County, Indiana, is located in the Northern Indiana region known as Michiana. The County is situated 150 miles north of Indianapolis, 100 miles east of Chicago, and 20 miles east of South Bend. As of 2010, according to the 2010 U.S. Census, there were 197,559 people residing in Elkhart County. From industrial parks to Amish country lanes you will find a flourishing economy in Elkhart County, home to leading manufacturers in the recreational vehicle, marine, musical instrument, manufactured housing and other important industries. Tourism plays a keyrole in Elkhart County, which is the RV capital of the world. Also catering to tourists is the large Amish population with handmade crafts, quilts, baked goods and hospitality. Office of the Prosecuting Attorney - Main Floor. In-House Fitness Center for Employees. In House Weight Room for Employees.